Developed by The Michaels Organization in partnership with Brinshore Development, this community serves market-rate tenants, public housing residents, and families with incomes below 80 percent of the Area’s Median Income. 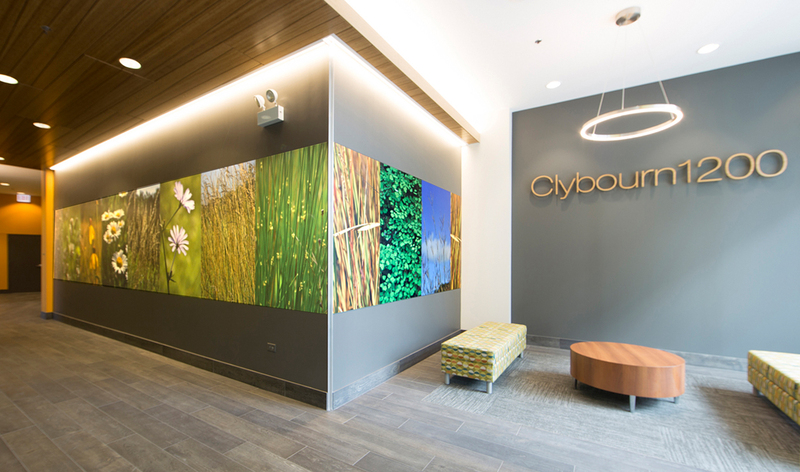 Featuring studios, one-, and two-bedroom units in a neighborhood with sky rocketing rents, Clybourn 1200 offers a much-needed affordable housing option to residents. Clybourn 1200 is uniquely situated next to ample shopping, employment opportunities, and public transportation. In addition to the 84 residential units, community amenities include a beautifully landscaped deck with outdoor seating and a fireplace, a rooftop community garden run in partnership with local organization City Farm, and a sky-high working apiary, home to multiple honey bee hives. 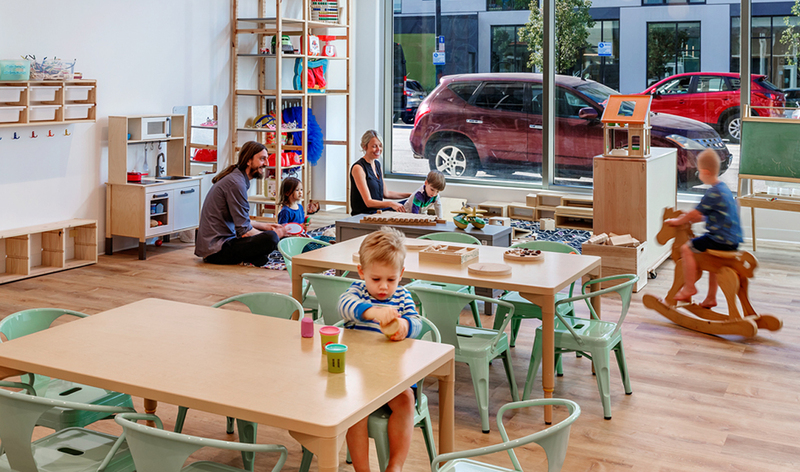 The ground level boasts 16,000 square feet of retail space occupied by local businesses, including a daycare, a mattress store, and a Chase Bank branch. The development includes solar panels and offers Energy Star appliances that save water and electricity. 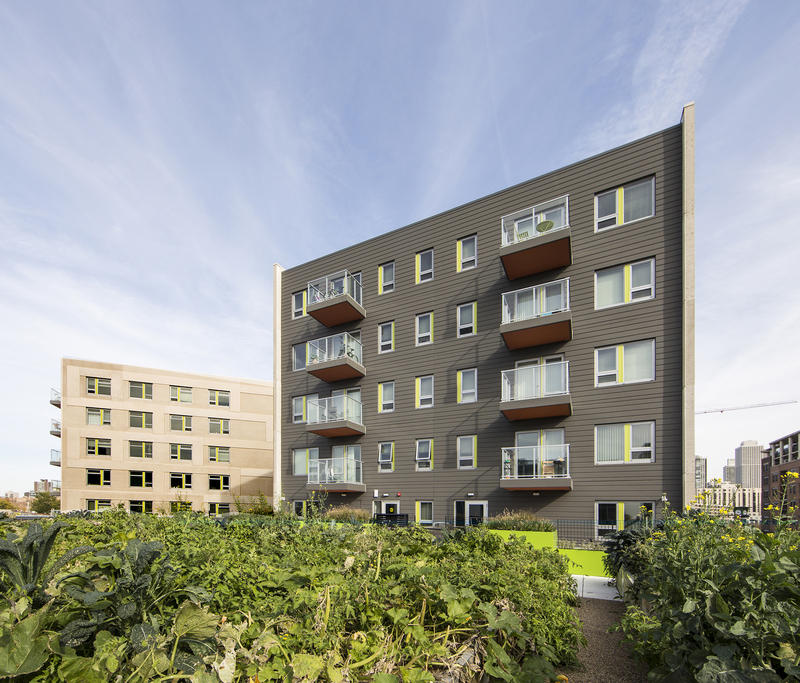 Clybourn 1200 is Green Globes certified, and its features include radiant floor heat and solar-powered hot water.